This is a great old school hip hop move. Learn the Criss cross dance move now. 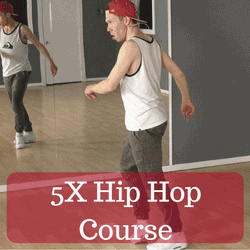 Learn basic hip hop moves with 25 step by step video lessons. This course is broken down into 5 modules that focus on different types of moves: Footwork, Upper Body, Waving, Step Touch and Iconic Moves. You will love this 2+ hours of detailed instruction for beginners. Hey, what’s up guys? This is Sean. 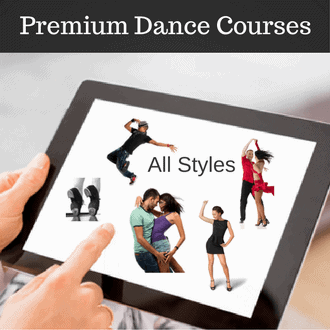 Welcome to Learntodance.com. And we are going to learn the criss cross dance step. Let’s do it. Five, six, seven, eight, one, two, three, four, five, six, seven, eight. OK. From the back. I’m going to start with my feet out. Five, six, seven, eight, one and two and three and four and five and six and seven and eight. So let’s break down the criss cross. So we’re going to start with our feet apart like this. OK? When you hear the music start on the one, your foot is going to cross in front of your left. And so sideways, it looks kind of like this. After you do that, you’re basically just going to switch out to the starting position here and then repeat on your left side. Your left side is going to cross in front, right legs behind. That’s the start. You’re basically going to alternate between those two steps. OK? If your feet are out like this, the right foot is in front out, left foot is in front. Rinse and repeat. OK. So, starting from here, let’s do it slow. OK. This move, you want to stay up on the kind of the balls of your feet. You don’t want to be too heavy with it. Otherwise your ankles, your feet might get hurt and you’re also not going to be able to move as fast. But let’s start slow. Just try to stay light. Your feet are out. You go five, six, seven, cross in front. One and two and three and four and five, six, seven, and eight. From the back, if we’re just learning it again, your right foot is going to cross in front. Left foot is going to swing in back. One, OK, you want to cross. You want to go out and on the two count, you’re going to do the same thing but your right foot is going to go behind you, your left foot is going to swing in front. Two, then you go back to the beginning. And three and four and five and six and seven and eight and five, six, seven, eight, one and two and three and four and five, six, seven, eight.